Here are the top four resources PC Matic customers find helpful when utilizing PC Matic. Check them out now! Please note, PC Matic does NOT offer phone-based support. To reach a legitimate PC Matic technician, customers must submit a help desk ticket, via our online help desk, which may be accessed by clicking the link below. PC Matic Blog pc matic, PC Matic resources, PC Matic support, PC Matic user guide. permalink. What browser are you using? And do you have any other issues with connections? I’m not able to replicate the error on my end. I was searching for a replacement for Bitdefender which expires in several weeks. I remembered your TV promotions and went to your site. I see there seems to be lots to do to protect my computer. I am 87 years old, have had a computer since 1988 (not the same one) and worked for the VP of IT at a Wall Street firm in NYC. If I decide to use Total AV, what do I have to do to have effective protection, beyond installation of the software? I have a computer tower, an iPad and a printer. What is the cost? I hope you are still an American product. That is important to me. Thank you. To be clear, we are not Total AV. If you opted for PC Matic, we could provide protection on anything that is using a Windows or Android operating system. Therefore your printer, and iPad would not be protected. The cost would be $50 for protection on up to five devices using a compatible operating system. 1.Can anybody stop the edge swipe effects on mywindows computers. My screen is forver going smaller, bigger, small, bigger, and i have to rest it again. So annoying. 2. How can i permantly stop windows deffender. It keeps bugging me for this or that. I use PC Matic on all of my computers. I want to stop it if I don’t need it. 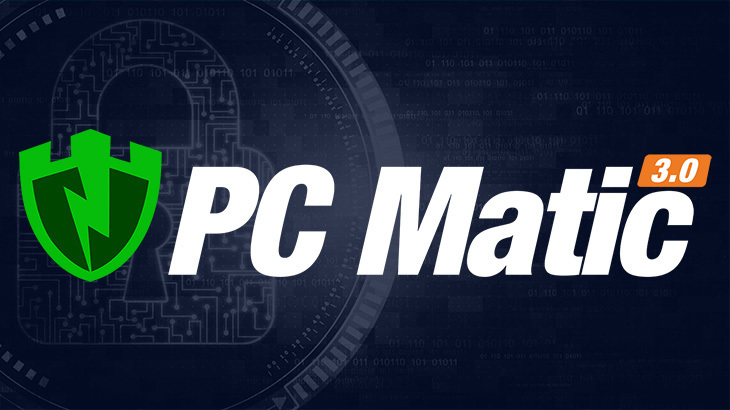 Patty, please reach out to our customer support team at http://www.pcmatic.com/help for assistance!